Summer is one of the most beautiful seasons in Big Bear Lake. The weather is perfect and inviting for you to enjoy all there is outdoors. Each year the Village Business Association of Big Bear Lake hosts their annual Summer Wine Walk, showcasing fine wines from all over the world. This annual event takes place at the Big Bear Lake Village shopping district, allowing unique businesses to also show off their wares while you enjoy a delicious glass of wine. This year’s Summer Wine Walk will once again take place at the Big Bear Lake Village shopping district. Tickets are currently $35 per person until May 29th, when they go up to $45. Tickets include wine and food as you get to explore the many unique shops in Big Bear Lake. For those looking to explore the delicious food only, there are Food Only tickets at $20 per person. This event is for adults 21 and older only, with no children allowed. Attendees will receive a commemorative wine glass, raffle ticket, and 12 wine tasting tickets with entry. This year’s Big Bear Wine Walk will be held from 3:30pm to 7:00pm, with the raffle prize drawing taking place at the front of Home Warehouse Design Center. This event is expected to sell out, so make sure you buy your tickets in advance to not miss out on the festivities! You will enjoy a relaxing evening with great wine, tasty hors d’oeuvres, and live music with some of the best views of Big Bear Lake. 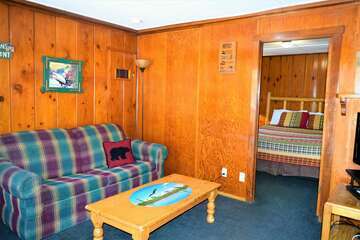 Contact one of our rental experts today to start planning your next Big Bear Lake vacation getaway. 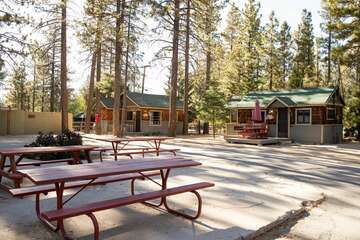 Summer is the perfect time to visit Big Bear, so start planning soon! 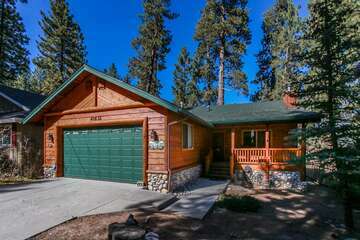 Our rental experts will help you find the perfect vacation cabin that is just a short drive away from the best Big Bear Lake events, including the Summer Wine Walk.